My blogger friend Mhisha and I decided to do a Collaborated blog post titled "Summer Date Look". Anyway, i hope you enjoy my Summer Date Look . Finishing powder- Cinema Secrets Light Touch Ultralucent Face powder. Waterline- Colobar iglide Silver Hue. Stamping Done Using Mash Plate no.28. DID YOU LIKE MY SUMMER DATE LOOK? 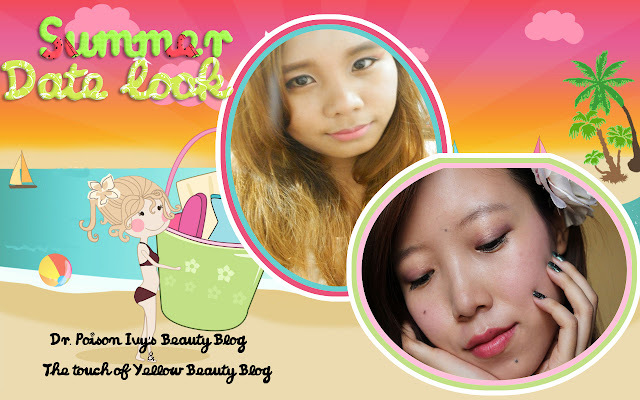 You can Visit My friend's blog HERE to see the look she created. What a lovely idea!!! And ur make up looks so beautiful!